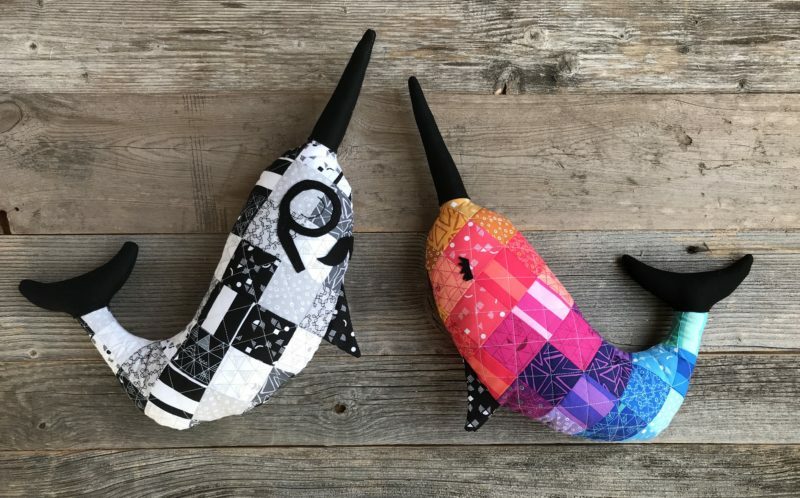 Meet Nigel and Nina, the Nosey Narwhals. Part of the reason I love making these Patchwork Pets so much is that it’s an easy win for me as a mom. I make so many quilts that the kids can’t have, it’s nice to be able to make something to give straight away to them. I get a hug, they tell me I’m the best! It’s beautiful! In addition to the mompliments (mom compliments) I get from my kids. It’s magical to see their imaginations run wild with these critters! My kiddos have a game them play, and it’s called…. wait for it… Patchwork Pets. Ha! But truly, they grab their patchwork pet (they each have one, soon to be a thousand) and run to the playroom and play patchwork pets. 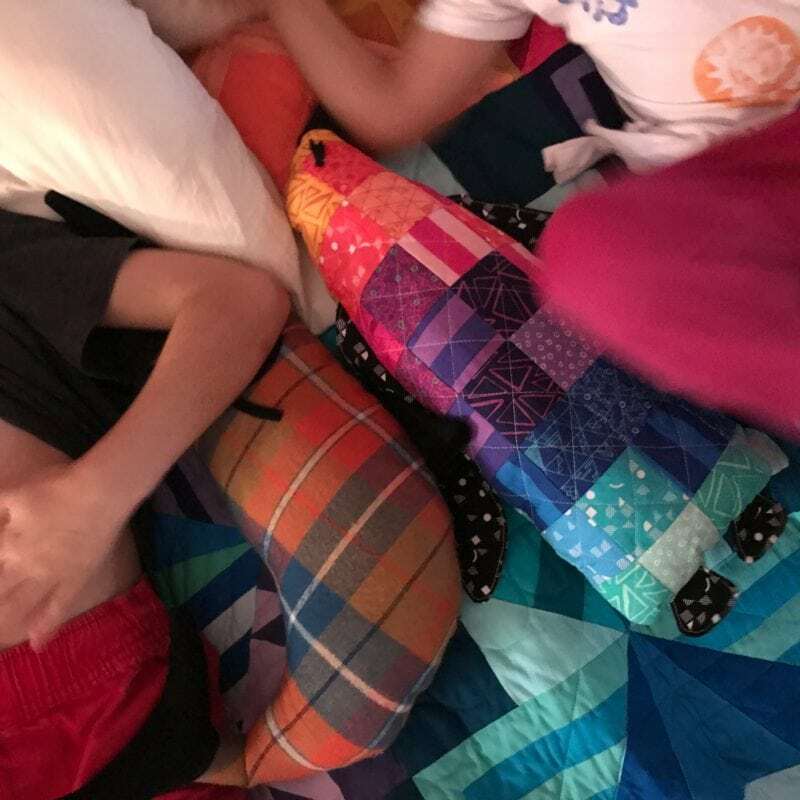 My son likes to turn his into a gun… naturally. Haha! Isn’t he cute? I have so much fun making these creatures. Here’s the prototype I made using Mammoth Flannel by Robert Kaufman. (If you use flannel I recommend lining it with stabilizer first!) Oh my gosh! That mustache! 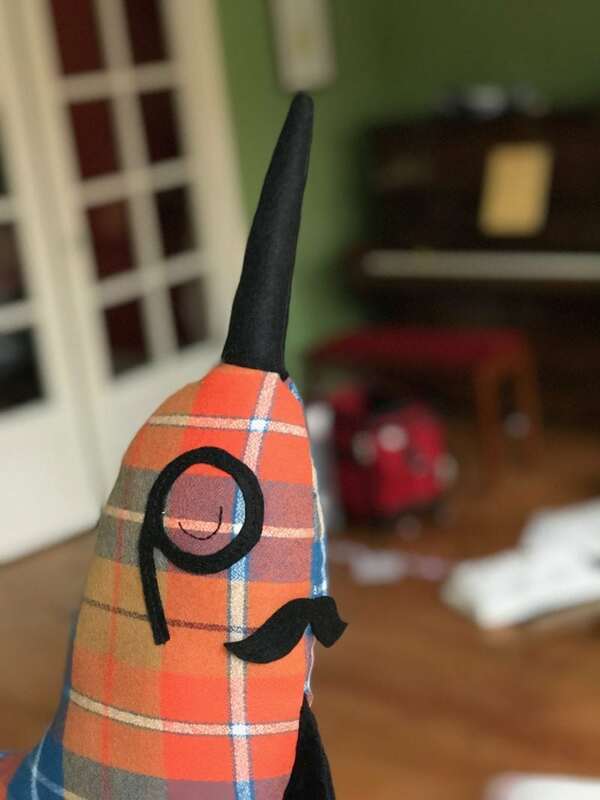 That monocle! Ack! I can’t stand the cuteness! Can’t you just hear him remarking on the tastiness of that caviar? Ha! These adorably ridiculous creatures are part of my Patchwork Menagerie collection I have planned for 2018. 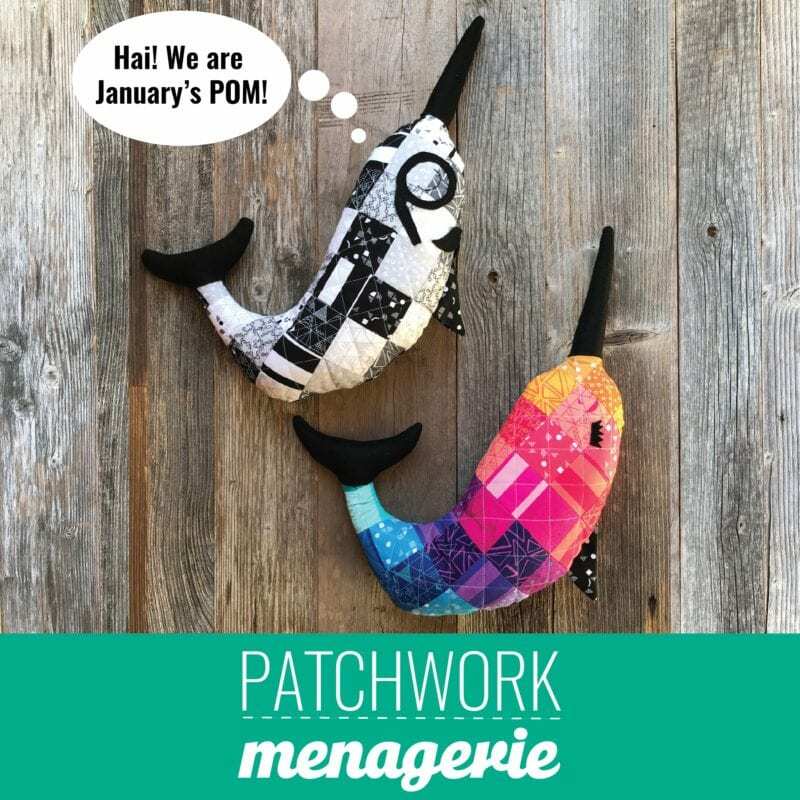 I can’t wait for you to meet the rest of the Patchwork Menagerie line up! I’ve had so much fun designing each and hearing their stories. Each pet will be available as a stand along pattern or you can join the club and save 30%. If you’d like to grab a copy or join the Patchwork Menagerie club, you can find both in my shop.